Be prepared to capture your next great idea. 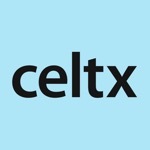 Celtx Shots is the first app with both storyboarding and set blocking built-in, so you can create storyboards and block scenes in the field, on the set, or wherever inspiration strikes. And Shots syncs with Celtx online services and desktop software, so you can create anytime, anywhere. This app has a 3.3 star rating (89 ratings). It occupies the 175115th position in our ranking with 61 points. It is among the 10% best ones of its category and among the 10% best ones of the overall top.